At the end of the semester, students are expected to have full comprehension of the fundamentals of technical writing and to be able to apply them in actual writing activities. Cognitive: Think through writing situations and create written reports and technical literature that will effectively present information to meet the reader’s needs. Affective: Appreciate the values and significance of effective technical writing. Psychomotor: Apply the standards of good technical writing style in creating reports, documents and a variety of technical literature. Writing is an essential activity that is required of both students and professionals. As a student, one finds writing as an indispensable tool for a majority of his learning tasks, such as note-taking, composition writing, research writing and many other writing activities. As a professional, one realizes that the ability to write effective correspondence and documents is not only a job requirement, but a plus factor as well. 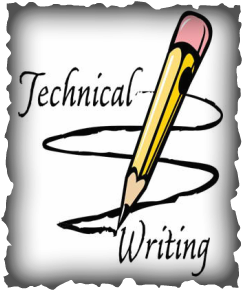 In either case, knowledge and skill in technical writing are both essential and beneficial. Technical Writing by Vicente, Corazon, Soria and Mogol.